Hello ... Hello ... my old friends ... It's great to see you once again! 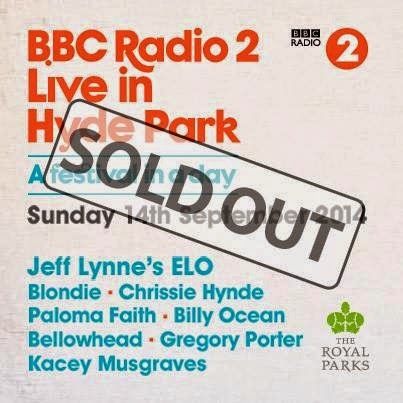 Whispers of a Jeff Lynne and/or ELO headlined gig in London's Hyde Park were confirmed this morning on the Chris Evans Breakfast Show when it was announced that the ELO co-founder will have top billing for the BBC Radio 2 Live In Hyde Park event on Sunday 14th September. This much anticipated concert will be the first time in twenty eight  years that Jeff has performed his ELO songbook live in the the UK since supporting Rod Stewart and headlining the Heartbeat charity gig back in 1986. And it will also possibly be the first ever ELO gig featuring Jeff Lynne for many fans ... including Yours Truly KJS! "I haven’t performed live in quite some time, and I know the fans have asked for it a lot over the years. 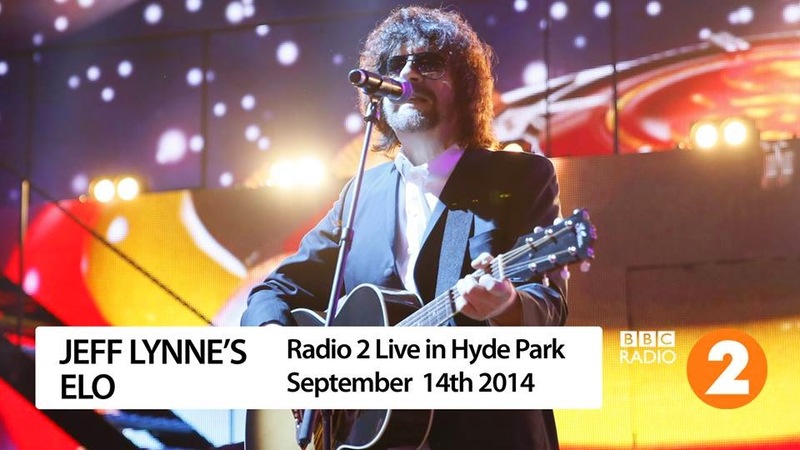 It’s very exciting to come to Hyde Park with Radio 2 and do something this big, and I’m very much looking forward to playing my ELO songs for everyone." 50,000 regular tickets - priced at £38 each [plus booking and transaction fees] - were sold out within hours leaving a limited quantity of VIP tickets - priced at £320 each [plus booking and transaction fees] available to purchase at the time of writing. In the meantime, BBC Radio 2 will also be running competitions for listeners and fans alike to win tickets for the event. The annual one day festival will be broadcast live from 2:00PM on BBC Radio 2 with edited TV highlights following. The top billing simply saying "ELO" would be enough. Somehow adding Jeff's name before ELO weakens the impact. If it wasn't Jeff Lynne's ELO who would it be? Richard Tandy's ELO? Don Arden's ELO? I get that Lynne wants to make sure that people don't think this is ELO Part 2, but that band has been disbanded for almost 15 years. Anybody know about any post show partys in celebration of our dream come true? !